May 4, 1864. In Virginia, Grant’s army of 120,000, began the massive, coordinated Overland Campaign, advancing toward Richmond to engage Lee’s Army of Northern Virginia, now numbering 64,000. Thus began a war of attrition that would include major battles at the Wilderness (May 5-6), Spotsylvania (May 8-12), and Cold Harbor (June 1-3). And in the west, Sherman advanced toward Atlanta with 100,000 men to engage Joseph E. Johnston’s 60,000-strong Army of Tennessee. 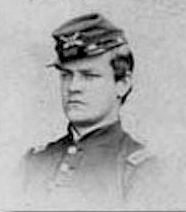 Grant had ordered Sherman to “move against Johnston’s army, to break it up, and to get into the interior of the enemy’s country as far as you can, inflicting all the damage you can against their war resources.” From Chattanooga, Tennessee, where the army had been since capturing the key railroad junction in November, Sherman’s army essentially followed the railroad, pushing Johnston’s army back, all the way to Atlanta, Georgia, an important hub for the Confederacy.